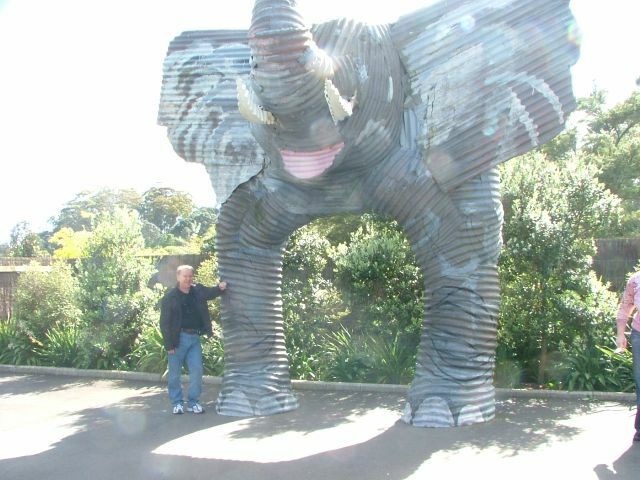 Wayne Mansfield: Auckland Zoo's Huge Elephant! On my recent visit to Auckland, I visited the Auckland Zoo. The most popular animal exhibit is the Kiwi house which recreates the dead of the night so you can see the nocturnal flightless bird. I recommend you see that exhibit. 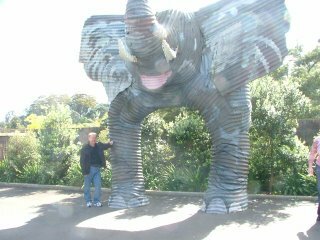 Just outside is an amazing static display, made from corrugated wrought iron of an African Elephant. It is also something special. Here I am, admiring the elephant. Picture taken by tour guide extraordinare Richard Gee.